Happy Wednesday, Friends! It's Kate here and I'm thrilled to be hosting this week's challenge: Christmas Critters. I'd like to see some Christmas Critters being showcased on your projects. 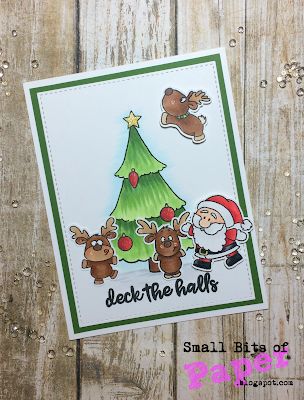 For my card, I chose to use Santa's favourite critters, his reindeer! You can use any sort of Christmas critter though. Perhaps a mouse peeking out of a Christmas stocking, or a cat wearing Santa's hat, or a pup wrapped in a string of Christmas lights. 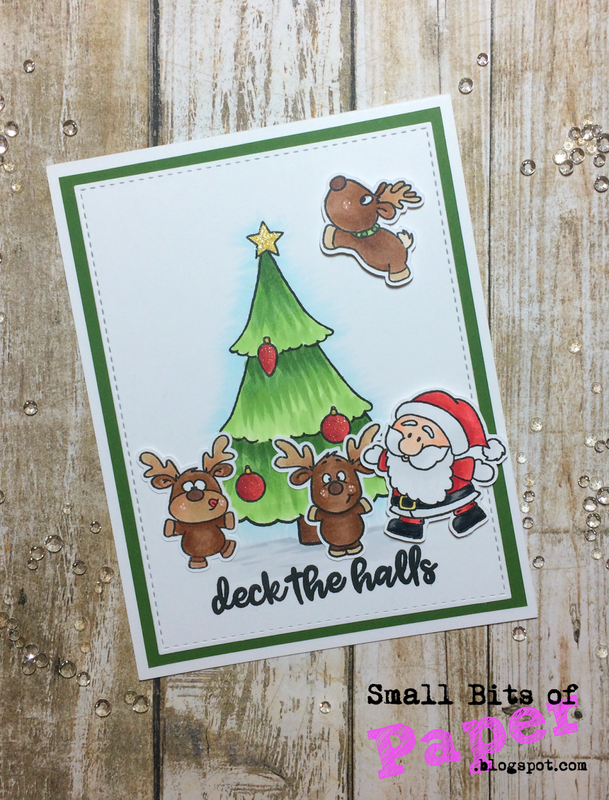 There are lots of fun images and die cuts out there so I hope you'll join along! Please link up your project below. I look forward to seeing what you create! OMG How Super A-DEER-ABLE is your card!!! Santa is having a Parteeeee and spreading the Christmas Cheer!! You sure did one Super Outstanding creative job!! YOU SO ROCK!! Hi Donna! I absolutely count koalas as cute critters!! Perhaps it was an issue with the linking tool itself as your project was not removed!! I'm glad you tried again!! Top Picks #424 That’s a Wrap! Challenge #424 That's A Wrap!